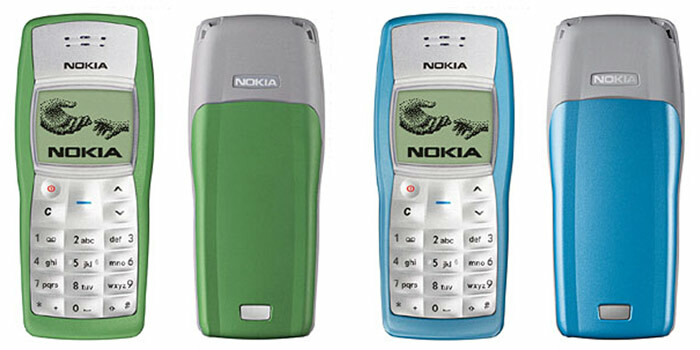 Nokia 1100 is world’s best selling and most popular mobile. Know interesting facts and trivia about this legendary phone whose toughness remains unmatched. Long long ago, much before smart phones appeared on the horizon, there used to be a not-so-fancy mobile phone called Nokia 1100. Popularity of this phone was such that it still remains unmatched. And perhaps it is never going to get a challenger because now technology changes very rapidly and new models are launched in dozens every month by dozens of phone makers. So, the record popularity of Nokia 1100 mobile phone will probably remain a legend forever. Nokia 1100 is the world’s best selling and most popular mobile phone EVER! It sold more than 250 million unit. Nokia 3210, the second most popular phone is a good 100 million units short of the benchmark set by Nokia 1100. Before it lost huge market share, the success of Nokia, the Finnish mobile phone maker, can be gauged from the fact that 12 out of 15 top selling mobiles were manufactured by it (the remaining three were all made by Motorola). The global reach and reputation of Nokia 1100, a GSM mobile phone, can also be understood from the fact that Apple’s most successful smartphone, iPhone 5S, has sold merely 20 million units so far, while iPhone 4S sold around 16 million units. It is not only the best selling mobile phone –but also the world’s best selling electronic consumer goods. This means that no other phone, television, computer, music system, video game, camera or anything has sold more units than Nokia 1000. When Nokia sold its one billionth mobile phone –guess which model it was? Well, it was again an 1100 and it was sold somewhere in Nigeria. Battery of basic version of this phone could last for as long as 400 hours! This phone was designed by Bulgarian-American designer Dimitre Mehandjiysky. If we judge by today’s standards, Nokia 1100 was a super cheap mobile. But some of its units were sold for more than $30,000 per unit –although for a wrong reason! A batch of this model had a serious programming flaw which made the phone reprogrammable and thus receive text messages that were supposed to go to a different number. This mobile handset was known for its rough-toughness. I have never heard that someone accidentally dropped a Nokia 1100 and it stopped working. It was designed keeping world market in focus. It was dust-proof, slip-proof and reasonably waterproof. Its torchlight / flashlight became an instant hit and people actually used their 1100 as a torch in dark spots. It doubled up as a torch in small villages of India and other developing countries where people wanted to pay every cent only good value they get from the device. Now that we all are enjoying smartphones with big color screens, playing videos, surround-sound and taking pictures with high resolution built-in cameras –lets not forget who has been the grand daddy of all mobile phones! I personally never owned a Nokia 1100. Do share your experience with me, if you used one. Karthik, it’s great to know that you’re still using Nokia 1100! Salute to such a fan! My first ever phone was Nokia 1100. I always used to play snake game on it that was very interesting. I loved it. And its torch was awesome. Unbeatable. Awesome sir, I love Nokia 1100 and your attitude! Great piece. Here in Kenya I always hear about the legend of the Nokia1100.